Does longarm quilting interest you, and you'd like to learn more about it? Or do you just want a review of longarm basics? This hands-on class removes the mystery of longarm quilting by explaining machine and frame elements and features how to load a quilt, and vital facts about thread, needles, and tension. 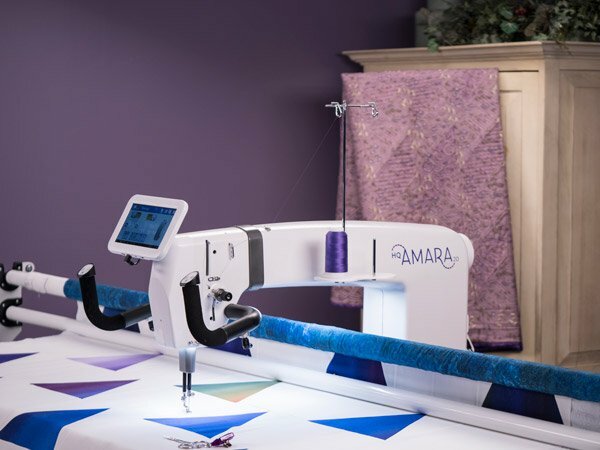 Handi Quilter longarm and frame systems come in various sizes for every budget, are user-friendly because they are designed by a quilter, for quilters - just like you!